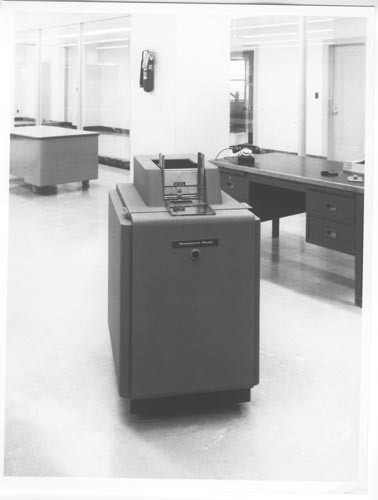 Black and white image of Remingrton Rand Card reader standing alone on floor. Behind is a desk with telephone. Further in background is another empty desk.